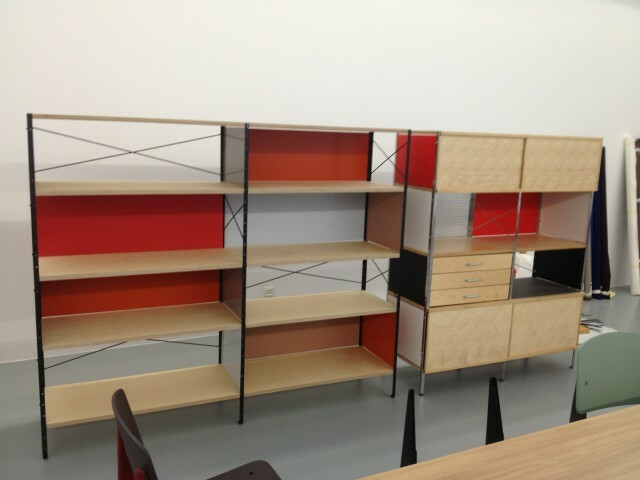 Two versions of the ESU at Vitra HQ. The ESU as presented in Milan, 2013. 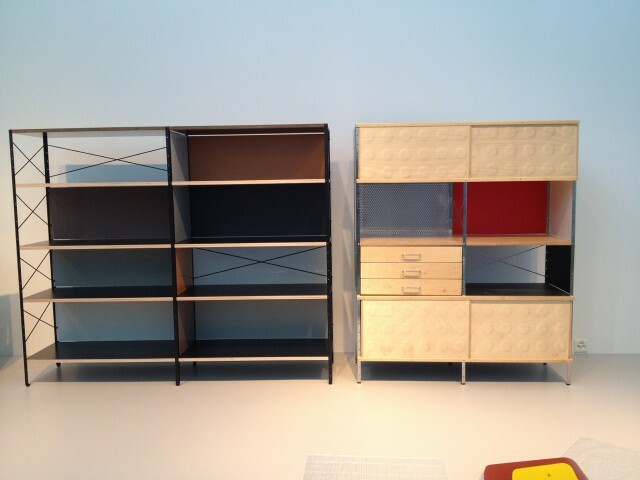 In 1949, Charles and Ray Eames developed a new system of free-standing multifunctional shelves which - similar to the Eames House that dates from the same time - were constructed strictly in keeping with the principles of industrial mass production: the Eames Storage Units (ESU). 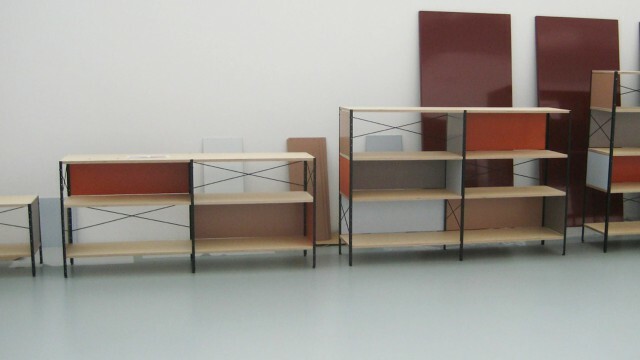 In 2013, Hella Jongerius made a whole new color palette for the ESU.